The National Coalition Against Domestic Violence has designated October as Domestic Violence Awareness Month. The word “awareness” is critical when approaching a crime like domestic violence, because abuse within the home is a rarely a one-time thing. It can continue, unidentified, for years, and down through generations. Physical abuse can be clothed in many disguises, such as legitimate discipline, or excusable bad temper, or some fault of the victim. The consequences, particularly for victimized children, can leave lifelong scars. While some commentators are appalled when YA lit addresses dark issues like abuse, these books can be the first light of understanding encountered by an abused teen. CORA (Committee Overcoming Relationship Abuse) reports that three to ten million children witness domestic violence/abuse each year in the United States. Children and teens exposed to an abusive parent are often isolated; called names; humiliated; manipulated into abusing the non-abusive parent; threatened with abandonment, suicide, harm to self or pets; intimidated; denied access to healthcare, proper nutrition, clothing and shelter; sexually and physically abused. The abusive parent will resort to these behaviors in an effort to maintain power and control over their partner and children. 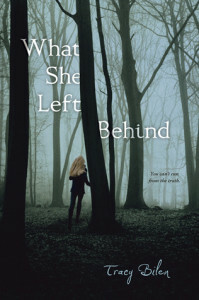 What She Left Behind by Tracy Bilen is about sixteen year-old Sara: clarinet player; sister of Matt, now deceased, and daughter of a man who communicates by throwing temper tantrums and hot skillets. Life at home, Sarah remarks, is like, â€œâ€¦drowning in a giant bowl of oatmeal.â€ Sara’s mother finally makes a plan to leave to leave Sara’s father for good, telling Sara that she will pick her up at lunchtime the following day. Sara is both relieved and uneasy. Her mother seems to have no practical plan for their post-escape destination. Sara waits for her mother at the meeting place for hours. But she never shows up… anywhere. Domestic violence is a leading cause of homelessness for families. Teens may reason that anywhere would be better than life at home. 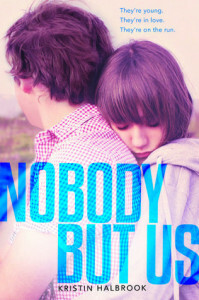 Will and Zoe in Kristin Halbrook’s Nobody But Us are both looking for a clean start. Will, abandoned by his parents, is now too old for foster care but has nowhere to go. Zoe is running from her abusive father. Their escape is far more dangerous than they could have imagined. Their love, however, is the strongest bond they have ever known. 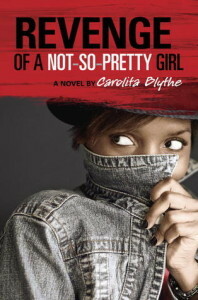 Fourteen year-old Faye, in Carolita Blythe’s Revenge of a Not-So-Pretty Girl, chases away the despair of her life in the slums of Brooklyn, 1984, by dreaming of her idol, Michael Jackson. Another way she escapes her hateful alcoholic mother and the void left by her missing father is by running the streets with her friends. Faye has no problem taking part in mugging pretty girls, but when they hurt an eighty-year-old woman, Faye’s conscience kicks in. Faye allows an older person to care for her, and it affects her whole life. 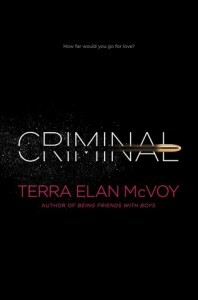 How different for Nikki, in Terra Elan McVoy’s Criminal (a 2014 Quick Picks for Reluctant Young Adult Readers nominated title). She ran from the neglect of her drug-addicted mother and landed in the arms of Dee, a mean-spirited, controlling man. Nikki is not a criminal, but she would do anything for Dee- lie to police, destroy evidence- anything to get his approval. Nikki has no family structure showing how healthy relationships function, so she’s left to create a relationship born of her desperate need. The flip side of neglect is over-protection. Although this sounds benign compared to other forms of domestic abuse, it can leave a teen vulnerable, unable to recognize abusive patterns, and unsure their own instincts. 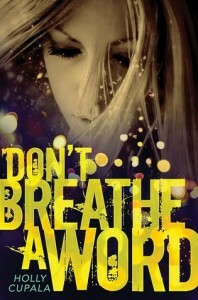 For Joy, in Holly Cupala’s Don’t Breathe a Word, this over-protectiveness is literally stifling; Joy has severe asthma and struggles to find enough air to breathe. Her boyfriend, sadistic Asher, is one more element of her life that leaves her gasping. Joy has to escape. 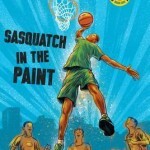 She chops and dyes her hair, stages her own abduction and runs to stay with street people in Seattle. Escape can bring both relief and regret, especially if someone vulnerable is left behind. 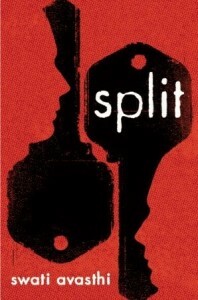 Split, by Swati Avasthi, (a 2011 Amazing Audiobooks for Young Adults selection) depicts such a situation. 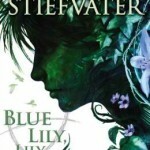 Teenager Jace leaves home to track down his estranged older brother. Christian. Christian left home when Jace was eleven, changing his last name, fading into anonymity. Now Jace needs reasons, answers. And to get them, he has to leave his mother alone with his abusive father. Outcomes vary, but the significance of books such as those listed above is their glimpse of alternatives to staying in an abusive situation. 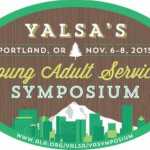 They have the power to imbue hope, or caution, or the simple recognition of domestic abuse. 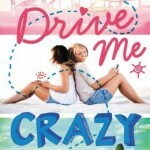 For more book suggestions, as well as resources to help teens in abusive relationships, check out Molly Wetta’s Hub post, Mend a Broken Heart: Homeless and Abused Teens in YA Fiction. Thanks for this. They all sound like great reads!